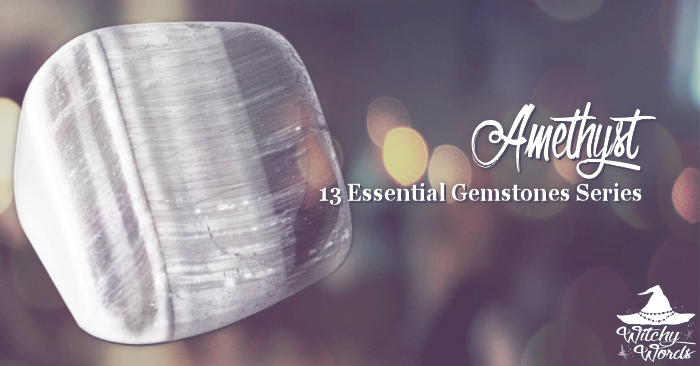 In this series, I will be exploring 13 common minerals and gemstones used in the Craft, dissecting their meaning from science, history, culture and my own experiences. Appearance: Translucent, glass-like with imperfections and fractures. Hardness: 7. It can scratch glass and be scratched by steel. Other Notable Qualities: Amethyst is a type of quartz denoted by its color. While quartz often represents cleansing and purification, the same cannot be said of amethyst. 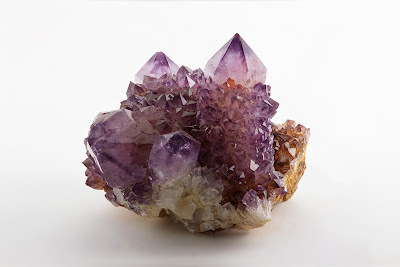 A violet variety of quartz, Amethyst gets its color thanks to a combination of irradiation and iron impurities. Radiation is, of course, the transmission of energy and iron is most commonly a working metal, common to our earth's core because of its mass production from high-mass stars. In this case, scientifically, amethyst can be said to be a stone capable of lending its user cosmic energy from the stars. Because of amethyst's grape-like color, Greeks associated it with wine. According to lore, a beautiful maiden was on her way to Diana's shrine when she crossed the path of an angry wine god named Bacchus. In an effort to avenge himself over an insult, he claimed that the first person he ran across would be devoured by tigers and that just so happened to be this maiden. Diana came to the maiden's rescue, protecting her by turning her into crystal quartz. Ashamed of his cruelty, Bacchus poured wine over the stone as an offering, which gives the quartz its purple color. This maiden's name? Amethyst. The word amethyst comes from the Greek word amethystos - a- meaning "not" and "methyo" meaning "intoxicate." As such, Greeks believed that the stone protected the owner from persuasion and drunkenness, wearing and adorning goblets with the stone. From this story, we see that amethyst begins as crystal quartz, similar to its actual chemical composition. As quartz, it represents protection. However, when Bacchus pours wine over the stone to give it its purple color, it turns it into the amethyst we know and gives it a different meaning: An offering to divinity or spirits. 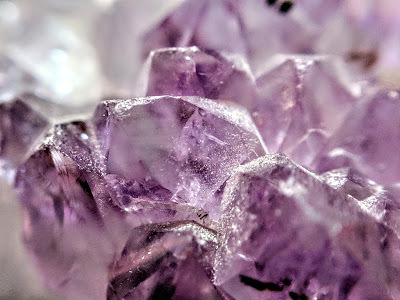 In this context, amethyst can be used to deepen that connection with your patron deity or to assist you in veil-crossing/hedge riding. This interpretation is further emphasized by its context to other religions and cultures. 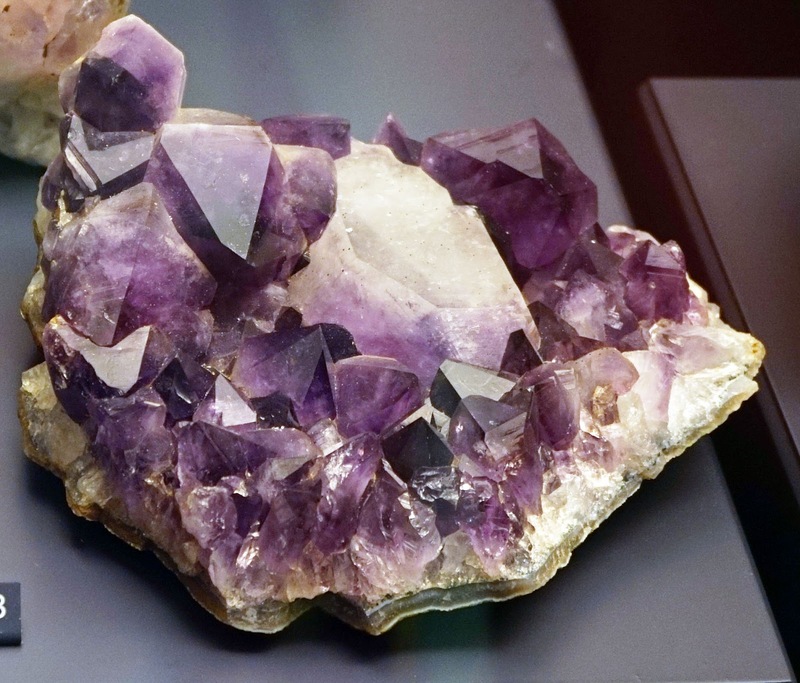 For Egyptians, amethyst was called Hemag and was listed in the Book of the Dead as a stone that should be carved into a heart-shape for burial. Hebrews found it important to spirituality as it was the ninth stone in the breastplate of the High Priest and the twelfth foundation stone for the New Jerusalem. In fact, many Eastern cultures also use it as a connection to worship, meditation or spirituality and it is a common stone for rosary beads today. 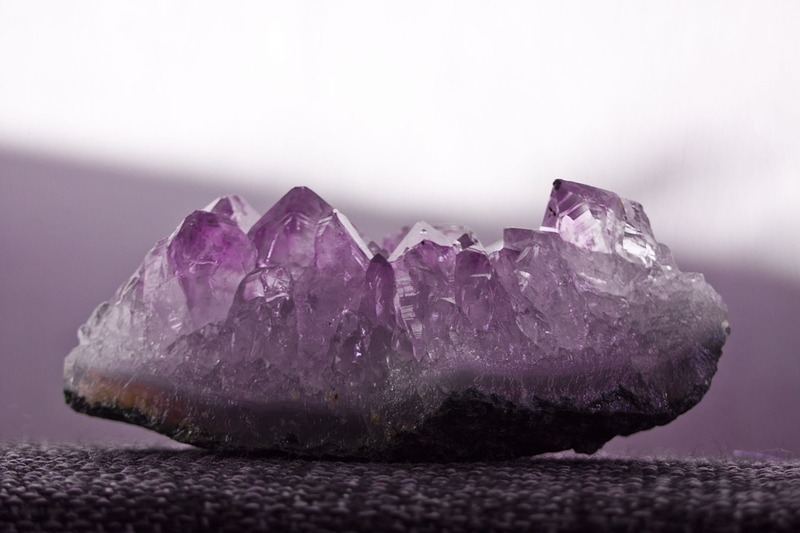 Thus, amethyst could also be associated with general spirituality and meditation. In modern times, and particularly in the US, amethyst is most commonly used in jewelry. The birth stone of February and the state stone for South Carolina, mined amethyst is typically polished and set into rings, necklaces, lapel pins and headdresses, or turned into beads with similar purpose. The stone can also be set into vases and ornamental displays around the home. Many crafters as well as big-name jewelers use amethyst because of its radiant violet hue and durability, making it a stone of inspiration for creative endeavors. 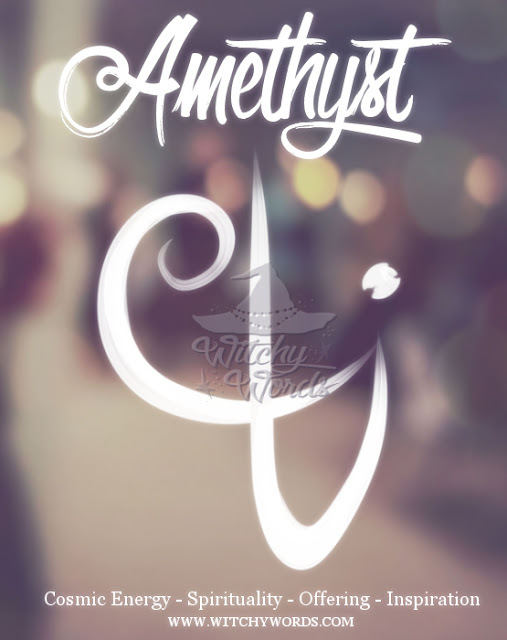 Utilize this sigil as a way of invoking the properties of amethyst if you have none available to you. You are welcome to print this sigil, place it in a grimoire, use it on a spell or put it in your blog with proper credit. Do not claim this sigil as your own.